South Pacific nations have the highest prevalence of diabetes in the world – so high that the United Nations reports that diabetes and other non-communicable diseases are one of the greatest threats to the regions development. The 10,000 Toes campaign is committed to saving the lives and limbs of those affected. 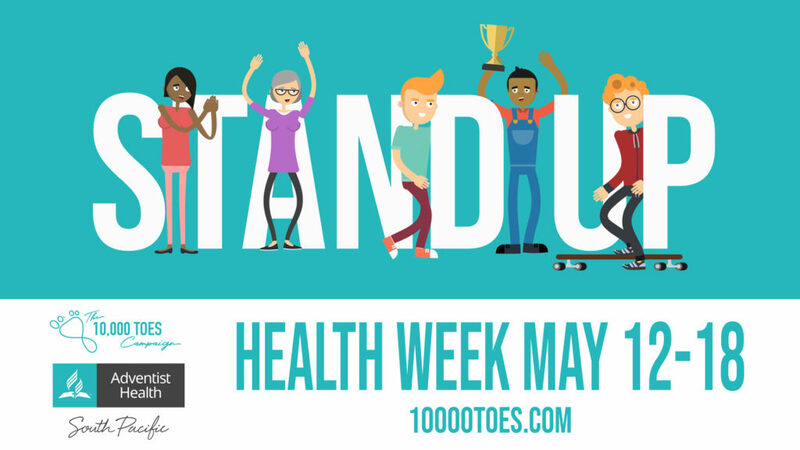 Help us turn the tide on diabetes across the South Pacific, so that we can help stop the spread of diabetes and other life style diseases, across the South Pacific – www.10000toes.com. Connect with us and join the movement! Download video and promotional flyers for Health Week and Health Offering 2019.